With Winter approaching, Lynx (Axe in the U.S.), the only company that, over and over again, seems to successfully be able to milk sexual innuendo for all its worth has released yet another man-friendly amusement site filled with women who can't seem to kept their clothes on. This site, LynxBlow, offers visitors to the chance to help a poor, freezing woman standing in the snow warm up by, yes, blowing at her through your computer's microphone. Unfortunately - or fortunately for the viewer - when wind comes her way, her clothes get blown off. She doesn't seem to mind though and winks knowingly at the viewer like some sort of Eskimo exhibitionist with an Arctic freeze fetish. Thankfully, through the kindness of our friends at Dare who worked on the creation of this visual pleasure, you don't even have to go thought the site set up to see the "goods." You can see all the best blow off scenes in a YouTube video here. - Will Video for Food thinks a recent youTube featured video, One World, by MadV is part of a paid promotion for the supposed launch of his upcoming television show. 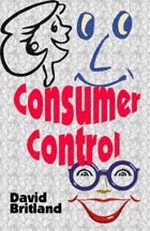 - Ad Agency North has drafted an extensive white paper on the rise of consumer control over media and advertising and how marketers can shift their efforts to better coincide with this new flow of information. - The Web Marketing Association has announced its fifth annual Internet Advertising Competition (IAC) Awards. The IAC Awards are an industry-based advertising award competition for online advertising. The Competition Web site is located at www.iacaward.org and the deadline for entry is January 31, 2007. - Hmm, that was short. Jason Calacanis of Weblogs Inc. fame has left AOL, the company that purchased Weblogs Inc. just over a year ago. - Burger King has pissed off Spain with ads for its Double-Cheese Bacon XXL death burger because the ad runs counter to the country's recent efforts to lim down its society. Way back in the heady days of 1998 dot com mania, an account director friend who, as much as we did, loved to sling around pompously pointless marketing blather and marvel at the ability of other to, as well, say so much while saying so little thought we'd write a book gathering together all the inanity. We never did but "seven words you can't say on TV" comedian George Carlin created a 3:42 bit on the same topic. For 3:42, he hilariously strings together the pointless blather that not only marketers but all people fling out of their mouths without fully considering how stupid it sounds. Take note. More than half of what comes out of your mouth in that client presentation is mindless, pointless, idiotic sounding, space-filling blather. Don't you want meetings to be shorter? Aren't you sick of fake words that mean nothing? Wouldn't you rather be actually creating something rather than killing it with the boatload of words you throw at it before you ever show it to the client? Of course you would. So stop talking like an idiot.